PDG WADE NOMURA is an active Rotarian and a third generation Japanese American. 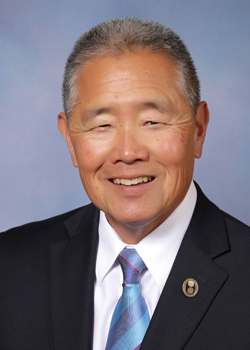 He is the President of the SB Japanese American Citizens League, Mayor of Carpinteria, TV host, and project coordinator for The Rotary Foundation. He is the recipient of the Rotary International “Service Above Self” Award and the Rotary Foundation’s “Citation for Meritorious Service” Award. Wade has spoken in 15 countries and 4 continents on behalf of Rotary.